Taking a long bus ride can be uncomfortable enough without glass and people flying around everywhere inside. In the fourth Megabus crash in Indiana since October, 19 passengers were hurt when a double-decker bus driving to Chicago from Atlanta ran into a stopped semi-truck on the interstate. According to state police, the truck had stopped due to construction and the Megabus driver apparently didn’t stop quickly enough in response, reports RTV6, striking the back of the truck and pushing it into two passenger vehicles around 5:30 a.m. The unexpected wake-up bump sent some passengers flying, with one saying that the Megabus driver was “driving extremely too fast” when another car swerved in front of the bus at the last second, though the police say the cause of the crash is still under investigation. Out of the 63 passengers, 19 were taken to nearby hospitals, though were no obviously serious injuries reported, police said. Stranded passengers were put on an IndyGo bus that took them to a truck stop to catch another Megabus heading to Chicago. 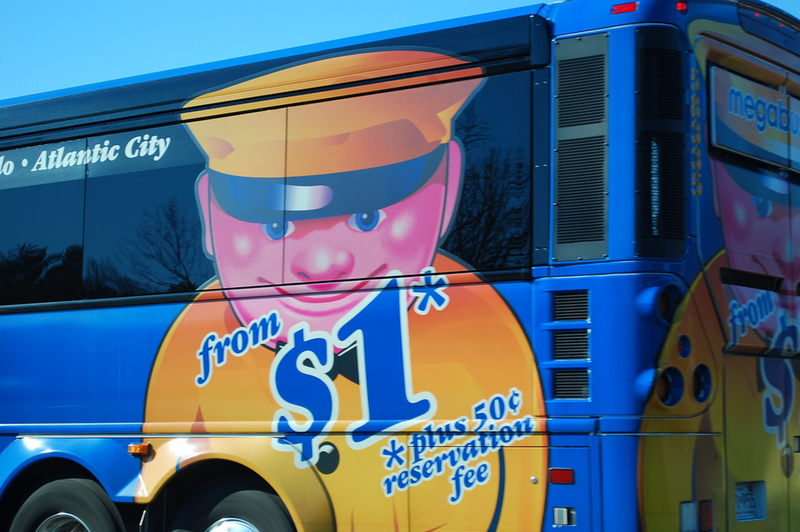 “Safety is our number one priority and Megabus is fully cooperating with the authorities with their investigation into the incident,” Megabus spokesman Sean Hughes said in a statement.